Three of the state’s top Democratic officials appeared at a Planned Parenthood summit in Lansing today, affirming their support for women’s reproductive rights and abortion access. Gov. 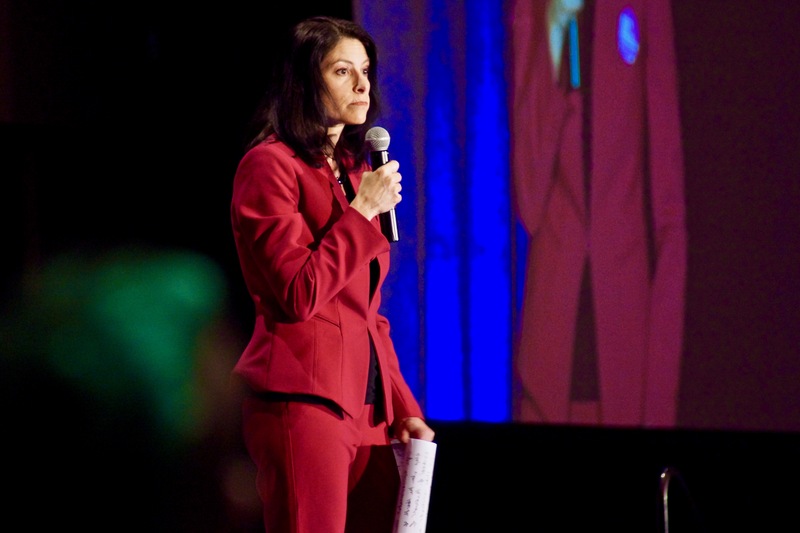 Gretchen Whitmer, Attorney General Dana Nessel and state House Minority Leader Christine Greig (D-Farmington Hills) all spoke, but it was Nessel whose remarks were the most pointed regarding Michigan’s abortion laws. The attorney general said that she believes the U.S. Supreme Court will likely overturn the landmark law legalizing abortion, Roe v. Wade. She also promised that, in that case, she would not prosecute anyone seeking an abortion under the state’s pre-Roe abortion ban. Michigan’s current law, which dates back to 1846, carries a charge of felony manslaughter for abortions when the mother’s life is not at risk. Anti-abortion protesters gathered outside the Lansing Center with large, graphic placards. Those attending Planned Parenthood’s event had to go through metal detectors, a highly unusual safety move for policy conferences. There are no metal detectors at the state Capitol. Last month, state Sen. Curt VanderWall (R-Ludington) introduced legislation that would ban abortions after 20 weeks of pregnancy. Former Gov. Rick Snyder vetoed similar legislation. According to the research organization the Guttenmacher Institute, “The current U.S. Supreme Court standard holds that states may prohibit abortion after fetal viability so long as there are exceptions for the life and health (both physical and mental) of the woman,” which is usually somewhere between 24 to 28 weeks. VanderWall’s legislation is in the Health Policy and Human Services Committee. Whitmer said she would block any effort by the GOP-led Legislature to pass such a ban into law, citing recent “heartbeat” abortion bills in Republican-controlled states like Ohio and Georgia that would prevent abortions from being performed after just six weeks of pregnancy. Nessel read from a list of legal actions around reproductive rights that her office has joined since taking office, including a lawsuit against the Trump administration over contraceptive access and one last week that would protect Mississippi’s lone abortion clinic. Her office has also withdrawn from four cases that Republican former Attorney General Bill Schuette had entered that could have limited women’s reproductive rights. Greig decried the current Legislature’s “divisive agenda” that “takes away reproductive freedom from women across the state.” She invited other pro-choice House and Senate members on stage with her at the end of her remarks. The Michigan GOP did not immediately respond to a request for comment on those remarks. Planned Parenthood held the event on the same day the Muskegon County Board of Commissioners was set to hold a vote that could evict the group from its facilities in Muskegon. The organization currently partners with Muskegon County to provide sexually transmitted disease (STD) testing and other reproductive services at a facility leased by the Muskegon County Health Department. But Muskegon County Health Department Director Kathy Moore recently requested that the board hold a vote to take the space back in order to expand the county’s own testing services. She didn’t return a request from the Advance for comment. Muskegon County officials say the move is purely logistical and that they’re willing to help Planned Parenthood find a private space for relocation, but the group begs to differ. “It’s obviously absolutely political,” said Planned Parenthood Advocates of Michigan (PPAM) spokeswoman Angela Vasquez-Giroux. “And the fact is, if it weren’t, they wouldn’t have followed the direction of the right to life protestors who packed the room,” referring to activists who recently lobbied the County Board’s Public Health Committee to shutter the group’s Muskegon location. Lori Carpentier, PPAM president and CEO, said that it will be much more expensive for Planned Parenthood to relocate from its government location. If the board votes to revoke Planned Parenthood’s lease, the group will have 90 days to vacate the county’s property.